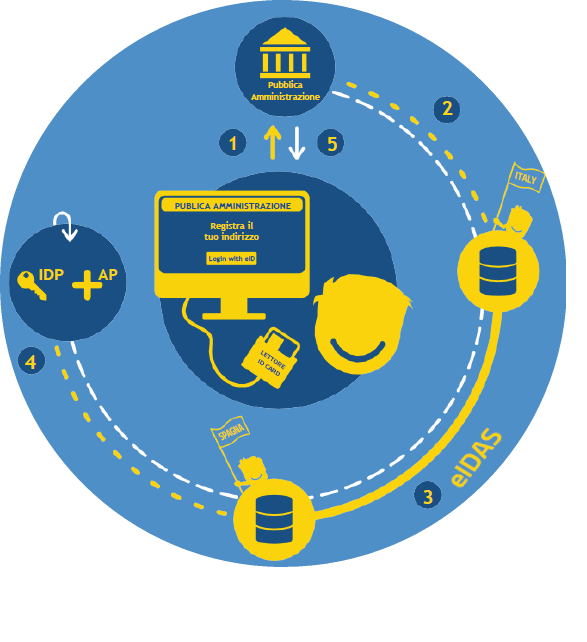 How does the eIDAS-Node work? eIDAS authentication is the first step towards a digitally integrated Europe. The eIDAS Regulation on Electronic Identification and Trust Services for Electronic Transactions in the Internal Market (Regulation (EU) No 910/2014) was adopted by EU co-legislators on 23 July 2014. The regulation aims to promote cross-border cooperation and the interoperability of national digital identity (eID) systems to make it more convenient for citizens and businesses to access online public services in the various member states that offer access via eID authentication. What is the Italian eIDAS-Node? The Italian eIDAS-Node enables the cross-border interoperability of digital identity (eID) systems and the circularity of eIDs in EU member states to increase the efficiency of cross-border digital transactions. The eIDAS regulation and the Italian eIDAS-Node make it possible to use an eID of a member state to access the online services of the public administration or private entities in other EU member states. The eIDAS-Node's operating model is illustrated below in the Connecting Europe Facility (CEF) chart, which shows how a European user may request an online service of another EU member state. Miguel, a Spanish citizen, wants to report his new address in Italy online. To verify Miguel's identity, the public administration communicates with the national eIDAS-Node. The Italian eIDAS-Node transmits the request to the eIDAS-Node in Spain.